What a week it has been for Aston Villa fans, some sport journalist even claimed this has been one of the most action jammed week for Aston Villa for years. 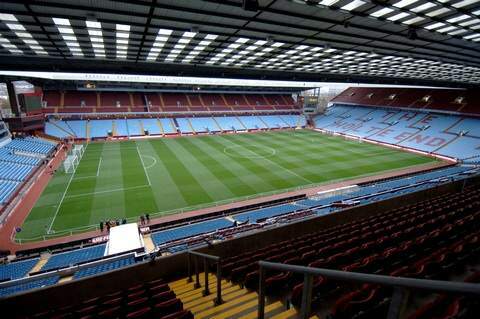 They might’ve been right, Villa fans ended last week on a low, following the 1-0 defeat to Crystal Palace. The atmosphere in the training camps have improved at Aston Villa following the suspension of Culverhouse and Karsa and the promotion of Cowans and Shay Given. Now, fans are getting excited about the news of a potential take over being nearly completed. But despite all the off-pitch news, the team has to be focused because Aston Villa lost their last four games in a row and are dangerously close to the relegation zone. Southampton have just about let go of the gas a little bit. They sit in 8th spot with 48 points and probably feel as though that’s where they will finish this season. Despite the team having little to play for, England hopefuls Lallana and Lambert will need to continue their good form if they want to be on the plane to Brazil for this summers World Cup. Earlier in the season Aston Villa beat Southampton 3-2, Kozak, Agbonlahor and Delph all scored. Steven Davies may face his former side today. Davies made 91 appearances for Aston Villa between 2004-2007 scoring 5 goals. He moved to Fulham for a fee of £4 million. Aston Villa welcome back right-back/midfielder Leonardo Bacuna who missed last weekends game because of a hamstring injury. Benteke, Kozak, N’Zogbia, Okore, Helenius and Gardner remain long-term absentee’s. Poland keeper Arthur Boruc has recovered from a back-injury. Fellow goal keeper Kelvin Davies also has endured back problems, but will miss this game. Maya Yoshida and Gaston Ramierz will both miss out due to knee and ankle injuries. Rickie Lambert has scored three goals in three Barclays Premier League meetings with Villa, including the winning goal at Villa Park last season. Aston Villa have lost four Premier League games in a row. They last lost five on the spin in January 2001. Grant Holt has managed only one shot on target in eight appearances for Aston Villa (but scored with it). Gabriel Agbonlahor has not scored or assisted a goal in any of his last eight Premier League games. Despite this he is Villa’s top assister this season with five. Southampton have allowed fewer shots from open play than any other Premier League side this season. Villa have made fewer substitutions than any other Premier League side this season (78). The sacking of Culverhouse and Karsa will make a difference, but not a very large one. I don’t know where the goals will come from, Holt, Agbonlahor and Weimann haven’t been great as of late. However, Bacuna and Albrighton offer quite a bit of threat out wide. I think that we can get a draw from this game, we’ve been on poor form but I don’t see us losing 5 games in a row. It just won’t happen. A lot of people are predicting a draw and I’m going to go into that same boat. Important point today, think we need one more to be safe. All in all though, lucky to have got that. Southampton missed their chances, we just didn’t even create any. Not good enough, but a point is a point when you are down there. Thought Vlaar and Bertrand both played well and Albrighton always looked lively. Weimann and Gabby were poor, but then again we didn’t give them much. most enjoyable part of the game was watching Shaw. Brilliant player.